A biodiverse organic Himalaya is possible and that is the vision Navdanya is working towards while joining forces with various national and international partners like IFOAM, CISSA, Shumei, UNDP, German Cooperation and Regeneration International among the others. This is the announcement launched by Dr. Vandana Shiva, president of Navdanya and Pawan Kumar Chamling, the chief minister of Sikkim, a state which has been 100% organic for the last 15 years, joined by the women seed savers and organic leaders from the Himalayan Region, Ladakh, HP, Uttarakhand, Sikkim, Manipur, Arunachal Pradesh and Assam. 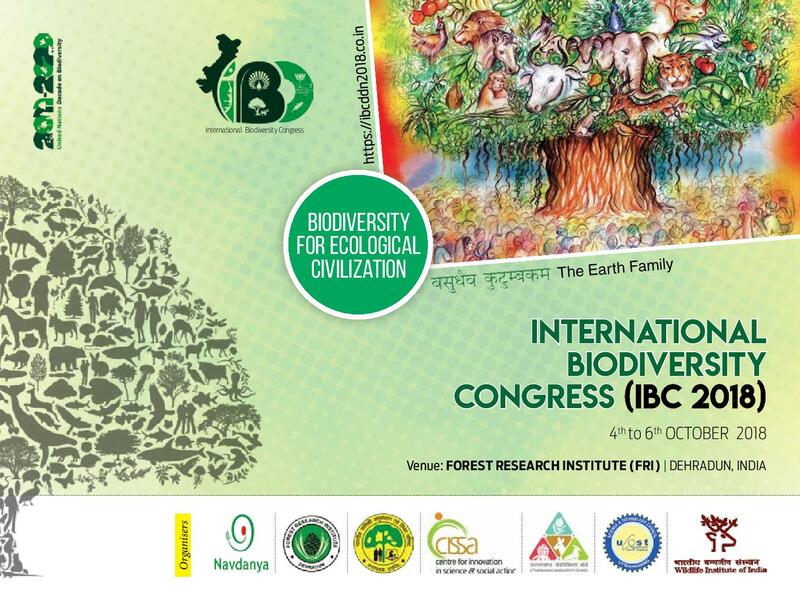 The launch of the movement took place at the Forest Research Institute in Dehradun where the International Biodiversity Congress is happening between 4th – 6th October, 2018, attracting a multitude of scientists, activists, politicians, ministers and other stakeholders from all over the world. Dr. Vandana Shiva pointed out: “The new Intergovernmental Panel has already shown that the erosion of Biodiversity, the 6th mass extinction is as severe a challenge to human survival as climate change. And yet climate change is related to the destruction of biodiversity, because when we destroy our biodiversity, we have weeds, we have pests, then we use herbicides and pesticides and we create the chemical treadmill of the entire devastation we see, both the toxic devastation, the toxins, the Roundup, the glyphosate, and the climate devastation. It is time to move from the fossil fuel age to the ecological civilization.” Another crucial highlight from her address was the interconnectedness of all realms and how protection of biodiversity was the same as the protection of human rights. Pawan Kumar Chamling, the chief minister of Sikkim in his inaugural speech talked about the state of Sikkim being the first “model organic state” in India and in the world. Describing the 12 years’ journey to turn Sikkim into a completely organic state, he highlighted how this was achieved through people’s participation and engagement. While highlighting the importance of consistent policies aimed towards the vision of an organic state embodying a rich biodiverse environment, he asserted that there is no time to rest and that all governments have a responsibility if we have to meet the aim of an Organic World by 2050. There has to be a partnership between all actors and initiatives in diverse directions to create a sustainable, greener and healthier world. The Hon’ble CM of Sikkim who is also the global ambassador of the organic movement will be awarded the Future Policy Award 2018 by The World Future Council, the Food and Agriculture Organisation of the UN (FAO) and IFOAM in Rome during the World Food Day celebrations on 15th October 2018. Shri Shyam Saran, former Foreign Secretary of India and Special Envoy on climate change, in his key note address highlighted how we are going through a “collective blindness in this age of technological progress where we believe machines will save us and that we don’t have to change anything”. He also added: “Biodiversity in a philosophical sense is accumulated knowledge and that we have to make that as the foundation of an ecological civilization”. Dr. Savita, Director, Forest Research Institute, talked about how appropriate this gathering of the IBC was: “In times when we are facing all sorts of destruction it becomes all the more important to remind us of our unity and remind us of our Vasudaiva Kutumbukam which means that the whole of earth is our family where each organism has an inherent value”. The Congress also saw the launch of five important publications including “Biodiversity, Agroecology, Regenerative Organic Agriculture: Sustainable solution for Hunger, Poverty and Climate Change” authored by Dr. Vandana Shiva and Andre Leu; “Origins: The Corporate War on Nature and Culture” written by Dr. Vandana Shiva. Works at the International Biodiversity Congress on October 6th saw a series of experts touching various topics related to the importance of Biodiversity conservation, from legal and knowledge systems to climate change and planetary health, ecosystem services to shape together an innovative vision for an Ecological Civilization based on Vasudhaiva Kutumbam, the Earth Family. As Dr Vandana Shiva pointed out: “Biodiversity is the answer to malnutrition and to so much of the toxic pollution and, as our work at Navdanya and in Sikkim has shown, we can grow more food, better food, more livelihoods and incomes. For every aspect of non-sustainability and pollution, biodiversity gives us alternatives: to fossil fuels, to plastics, to pesticides. We must shift from an anthology of thinking of a dead earth, which is merely raw material, to the Earth as alive. And we must co-create with her, we do not have mastery over her. We must shift from the obsolete paradigm of reductionist knowledge, with one dimension of linear thinking, to multi-functionality and diversity, and to what our learning of the past and of the future will teach us. Because the world is not separated, where one cause does not have on effect, in an interrelated complex world it is the 4th dimensional causality at the systems level where the next quantum leap in science will take place”. Shri Bittu Sahgal, founding editor of Sanctuary Asia, gave his views on the challenges related to climate instability and biodiversity destruction that we are facing:”Four consecutive droughts in the Fertile Crescent caused 2.5. Million people to move from the countryside and are at the root of the crisis in Syria today“. Climate change and biodiversity crisis are indeed the cause of social crisis, as Navdanya International exposes in Terra Viva. He added: “Just like it happened after World War 2 there will be tribunals held for environmental crimes against Biodiversity and the Planet, I promise you, and you have to decide if you will be part of the resistance or part of the destructors’ collaborators”. Dr James Buchanan, Director of Brueggeman at the Xavier Institute, declared: “A species only goes extinct if the ecosystem around it doesn’t exist anymore. The shift from the dominant mechanistic way of viewing the World to the organismic Worldview is difficult but needed. The World has to be seen as a complex system with interconnected parts, not as a linear system with simple causes and effects, where individualism reigns”. Dr. Erach Bharucha Director, Bharathi Vidyapeeth, Pune, commented:”Formal education is really important to preserve biodiversity. We need to reestablish the link and the love to Nature”. Dr. Konrad, Project Director, GIZ, reminded the audience that: “There is a big gap between science and civil society, which need to be bridged. The right message has to be conveyed to the policy and decision makers. The language of science is too complex and has to be broken down to the ground level. There’s a detachment from the global interest”. Dr. G. G. Gangadharan, Ayurvedacharya, Director, Ramaiah Indic Specialty Ayurveda – Restoration Hospital stressed the importance on re-establishing the link between environment, food and health, because “Health is the right balance between the wellbeing of the body and the wellbeing of the mind. The Human Being is the extension of the environment”. Samples of scarfs, produced by women and farmers of Navdanya’s Fibers of Freedom program were donated to Shri Balmiki Prasad Singh, Former Governor, Sikkim, and former Secretary Environment – in whose tenure the National Biodiversity Act was drafted – author of a series of publications on Diversity and Shri Trivendra Singh Rawat, Honourable Chief Minister of Uttarakhand. Through the Fibres of Freedom program, Navdanya distributes indigenous variety of seeds to farmers and encourages them to shift to organic and sustainable agriculture. The program supports farmers to grow chemically free organic natural fibers as well as promotes our indigenous skills and knowledge. In collaboration with Regeneration International, Navdanya has organized an international gathering on Regenerative farming and Regeneration International General Assembly, which will be held at Navdanya Earth University on 7 – 8 October, to evolve solutions to climate change and biodiversity conservation. Conserved by 500 members of Navdanya family of Basmati seed keepers and organic farmers in Doon valley. Dehradun Basmati, the Queen of Aroma, gets its unique aroma from the rich soils of Doon valley. If grown in regions outside the valley, the aroma, taste and softness of the rice is not the same. A day before India’s Independence Day on August 5th, we made history. We won the Basmati biopiracy battle. In 1994 RiceTec, a Texas based company took a biopiracy patent on basmati rice lines and grains in the United States Patent and Trademark Office (USPTO) with 20 broad claims designed to create a complete rice monopoly patent which included planting, harvesting, collecting and even cooking. It claimed a patent for inventing novel Basmati lines and grains. 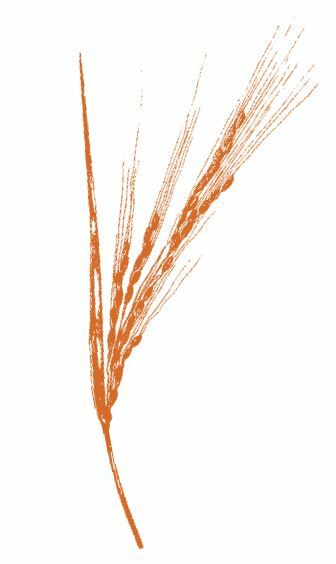 RiceTec not only claimed to have invented a novel rice line, but also its cultivation and cooking method. This was a blatant attack on the innovations of Indian farmers who had developed Basmati over millennia. Though claimed to have “invented” Basmati rice, they accepted the fact that it was derived from several rice accessions from India. The victory against basmati biopiracy was based more on citizens’ actions rather than government action. It was the Indians in solidarity with the citizens worldwide who succeeded in freeing the Indian Basmati from the clutches of monopoly, colonialism biopiracy of corporations. Join Navdanya, be part of our Bija Swaraj, Anna Swaraj movement to make a collective commitment to protect the rich biodiversity of our edible plants, quit poisons and chemicals in our food and prevent corporate hijack of our food and biodiversity heritage. "A species only goes extinct if the ecosystem around it doesn't exist anymore"
we enlarge our mind with diversity – "Let us not go the dinosaur way" The protection of biodiversity is also the protection of human rights. We are not separate from nature. Dehradun, India, from 4 – 6 October 2018. The Congress is being organised as a joint initiative of Navdanya, Centre for Innovation in Science and Social Action (CISSA), Indian Council of Forestry Research and Education (ICFRE), Wildlife Institute of India (WII), Uttarakhand Biodiversity Board and Uttarakhand Council for Science and Technology, with the support of various international and national governmental and non-governmental organisations. 3 Comments to "International Biodiversity Congress"